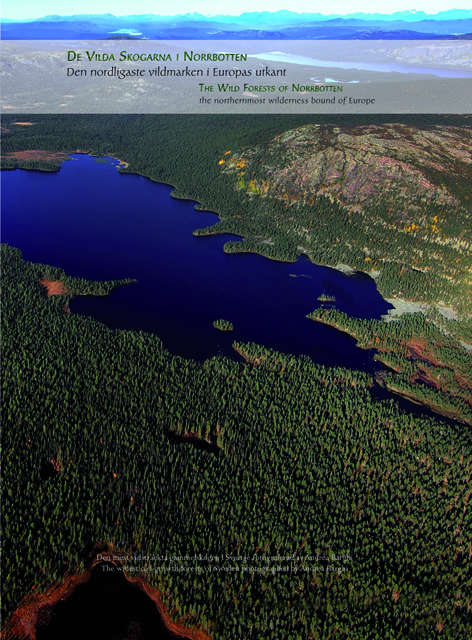 In the International Year of Forests 2011 this book is a celebration of the old-growth forests of the North of Sweden, Norrbotten land. We have decided to photographically show the northernmost area of Sweden as it is considered a living symbol of European nature. More than just the most representative part of the Swedish nature, it is the largest presence of European pristine forests. It includes the widest wilderness area of Europe and Unesco heritage site, Laponia. The goal of this book is to show the forestry treasure of this land. Through very touching images, giving a “super partes” view, it is a simple and direct homage to the nature of Sweden seen with “different” eyes, the ones of two Europeans who have chosen it as their home. We hope to highlight to all of Europe that it is possible to preserve the greatness and beauty of forests. Photos Andrea Barghi, Texts Rolf Löfgren, Veronica Bernacchioni, Andrea Barghi, Frédéric Forsmark, Mats Karström, Mikael Karlsson, Andrea Margaritelli, Francesco Petretti, Malin Sahlin, Lester Brown. In collaboration with Naturvårdsverket, Norrbottens Länsstyrelsen, Norrbottens läns landsting, Gällivare Kommun, Jokkmokk Kommun, Gruppo Margaritelli, Dalum Papir, Silvaskog, Naturskyddsföreningen, PAN Parks. 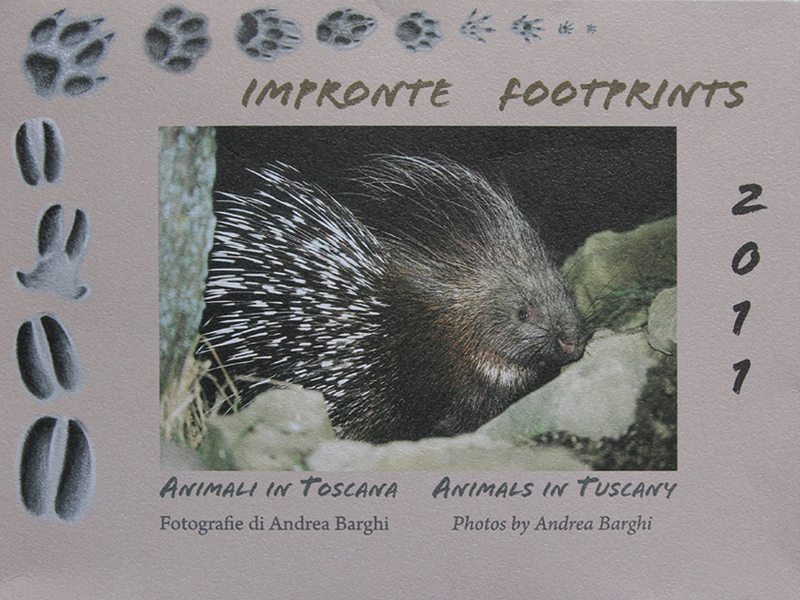 Discovering and recognizing the tuscan animals’ footprints, with short stories about the meetings of the author with the animals. Since some years ago to see the porcupine in the not to far to the sea plains but not in the inland was easy, but recently it could colonize the whole Tuscany, from the sea to the mountains. It’s a typically nocturnal animal, which likes roots, tubers and also corn and here we have the usual and old conflict that the all wild animals, rightly or wrongly, have with men: that’s why, as it’s diffident, it has become nocturnal. But this porcupine (which starts this calendar) is not like this at all, in fact I could become its friend thanks to some kilos of sunflower seeds. With this I mean it is not nocturne anymore, but it shows itself when the last rays of the sun is almost leaving the earth. It was an interesting experience even because at the beginning just one came under my wild pear tree and after about a week, two of them began to come, up to five after one month, probably the whole family. So I have discovered that it’s not true that they throw their quills, that they are poisoned or ferocious. In fact it is simply a rodent which try to manage as best as he can in difficult moments… Last time we’ve met and greeted it was eating sunflowers seeds around my feet, giving no sign of fear, in spite of its well-known shyness.